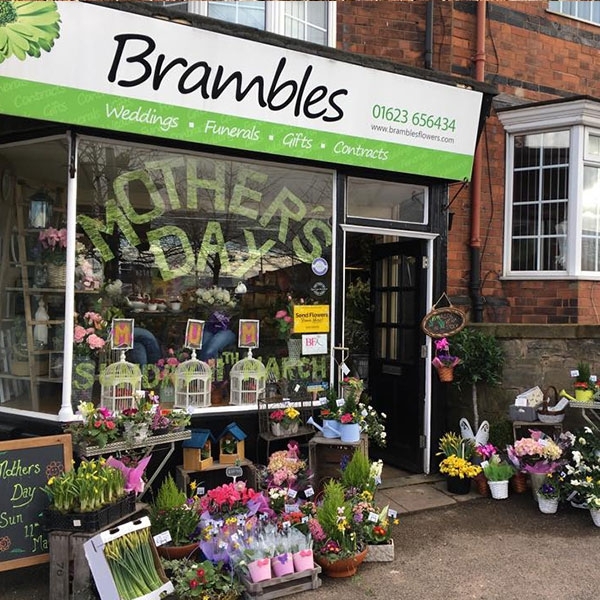 Brambles Florists has been a family run florists for many years. All our staff are fully qualified florists each with their own unique floristry styles. The business offers exceptional customer service and always commits totally to the customer. We ensure all deliveries are left with the customer or a person willing to take care of the flowers should there be no reply from the delivery address, the customer is given a card with the details of where the flowers have been delivered to. We pride ourselves on the quality of our flowers and we have found that Hand Tied Aquas are a popular product when it comes to delivery. We offer a broad range of funeral tributes and are able to provide guaranteed echo friendly bio degradable tributes. We can also offer a selection of house plants, but in order to fulfil orders need to have at least three days notice for the delivery of plants. We are based on Nottingham Road Mansfield and can deliver within a six mile radius from the shop on a next day basis. Excellent service with prompt delivery of beautiful flowers. Lovely shop with lots of choice,very helpful and friendly staff.